If you’re like most people, you don’t think much about your joints until they start complaining. Make sure to adapt your daily routine to relieve pressure on your joints. The following techniques can help you avoid stiffness and lighten the burden on your joints. Smoking and tobacco use are risk factors for everything from cardiovascular problems to cancer. Smoking can hamper your joints, too. Because smoking increases inflammation throughout your body, it can make it harder for your body to recover and heal from an injury. Obviously, it’s not easy to give up smoking for good. But consider this: Within eight hours of quitting, the carbon monoxide level in your blood returns to normal and the oxygen levels in your blood increase. Water makes up about 80 percent of your body’s cartilage (the flexible, connective tissue that cushions your joints). If you don’t stay well-hydrated, your body will pull water from cartilage and other areas, he says. This can wreak havoc on your joints. Replace soda and energy drinks with water. This will help deliver better hydration to your joints and heart. Not sure how much water you should consume? Listen to your body’s cues: Make sure you have water available at all times. When you feel thirsty, drink. And increase hydration during hot weather and when exercising. Your joints are meant to sustain a certain amount of force, If you’re overweight or underweight, you’re likely putting more stress on your joints than you realize. 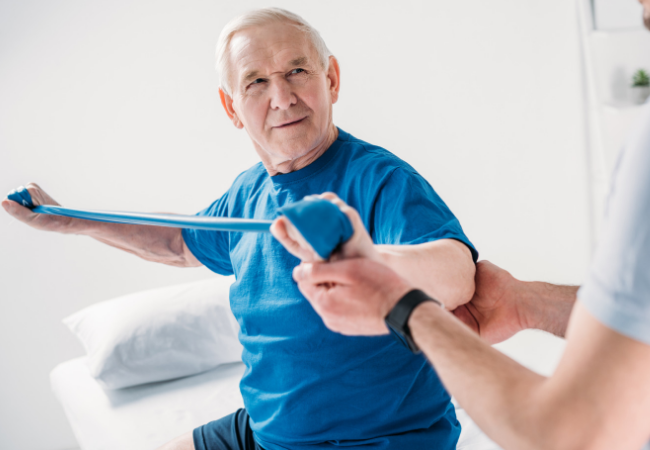 If you’re new to exercise, it’s best to work with a physical therapist. This can spell trouble because skipping your warm-up can put your joints at greater risk of strain and overloading. For best results, warm-up and cool-down exercises should last for about five minutes. Work with the same muscles you’ll use during exercise, but at a slower pace. Warming up is especially important as you age; older joints are often less resilient. Muscle soreness after exercise is one thing. Joint pain after exercise is another. If you get sore after exercise in a way that makes sense for the activity you did, and the soreness easily goes away, you’re probably OK. But if you develop joint pain, it’s your body’s way of telling you something is wrong. That’s when it’s time to see your physiotherapist. It may be something simple to correct, such as incorrect form. Or something more complex, such as early-onset osteoarthritis, may need to be addressed. If you have any questions– feel free to reach out anytime!